I am so proud of myself.I have been juicing green vegi drinks and fruit juicing too.I am totally satisfied and feel great.I have newly incorporated 1.5 average hours at the gym 5 days a week.And I plan on sticking with the exercise.When I hurt my back with the trainer fellow in 2001,I stopped and really never went back at a regular ongoing time frame.Oh,and did say I gained all of that 40 lb weight loss and gained more this time around. I realized since I started raw eating in Oct 2008 it wasn't until the 3rd week in January of this year 2009 until raw was the majority of my main meals.HIGH RAW is what I considered myself. 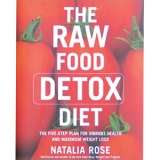 A local friend and myself plan on sticking with "Raw Eating" to our best ability. Since this is my 4Th straight day juicing I am not putting a time on how many days I will stick to this.I am feeling good and as long as I feel good I will continue my juicing.Since I did 2 Master Cleanse episodes.one was 10 days and 1 was 12 days,I know I can do this at least that long.